During the previous long weekend, we had the opportunity to have a family bonding. My mom was quick to suggest Nuvali, Laguna (learn more). 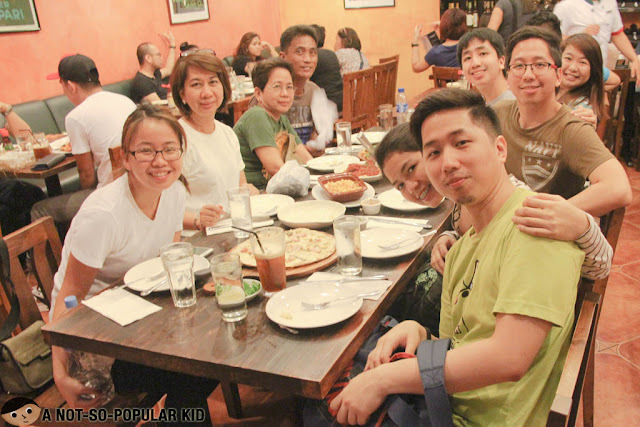 Hence, we all geared up that day and headed to the place where we ended up spending our entire afternoon and evening. When we were trying to stroll around the place, we got curious to drop by Solenad 2. I didn't expect to find much because during the last time I was in the area, all I could find there were some outlet stores and a few number of restaurants. However, I was given a huge surprise when I stumbled upon a wide array of stores and restaurants! Well, apparently, Ayala has been developing the area giving it the BGC feel. 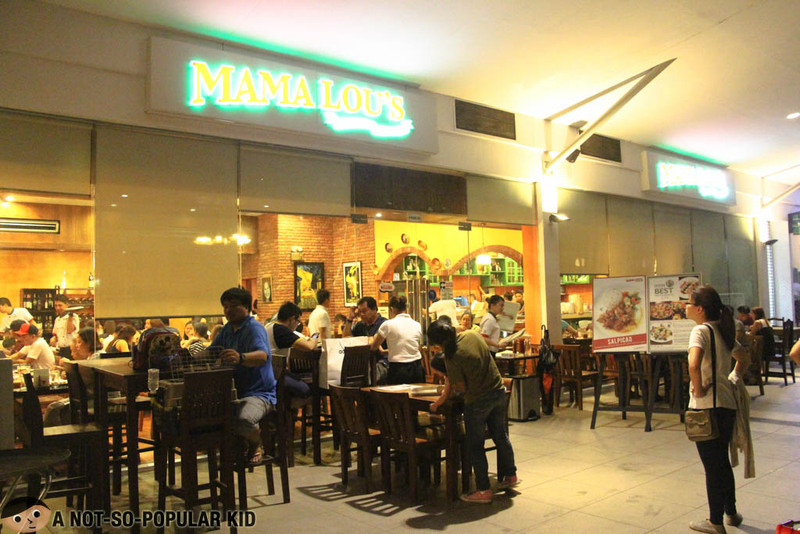 Now, just like the one in BF Homes, this Mmaa Lou's branch features a homey feel that makes dining light, easy and comforting. It somehow sends out a feeling as if your mother is preparing dinner/lunch for you. 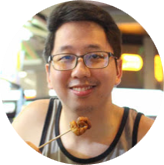 Well, anyway, let's talk about some of the dishes you may find here. 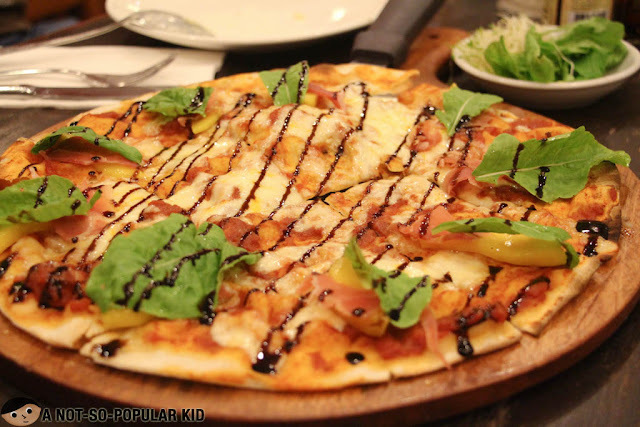 Let's begin with the Mama Lou's Special! Mama Lou's Special || P350 - 12" || P450 - 14"
Although I was a disappointed with the non-availability of the 14" size, I just tried to shrug it off, so it won't affect my "food mood". Unfortunately, it still did. Now, as for the taste, it was just fine but fell a little short of my expectation. I got to taste the same variant in the BF Homes branch, and the experience there was just WOW! 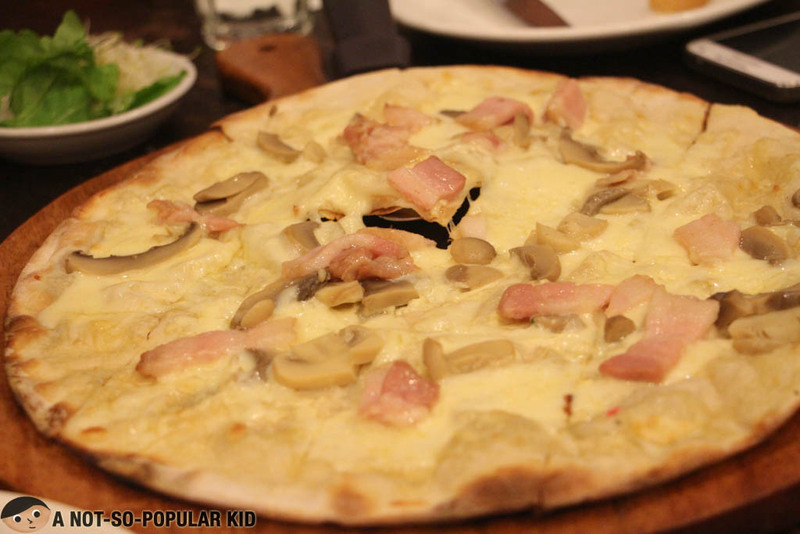 Pizza Bianca || P275 - 12" || P375 - 14"
This Pizza Bianca was rather regular, and sadly, it fell short of my expectations considering that this is Mama Lou's! Well, to put it more clearly, this was overly plain and un-exciting. This pasta was incredible especially with its authentic tomato goodness that was finely sour and lightly sweet. 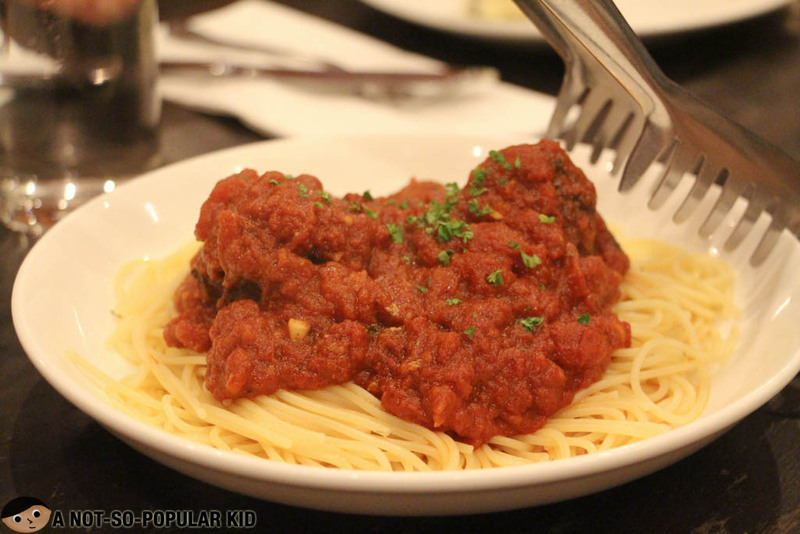 The meatball, on the other hand, slightly missed in complementing the taste of the pasta. Overall, it was still nice. 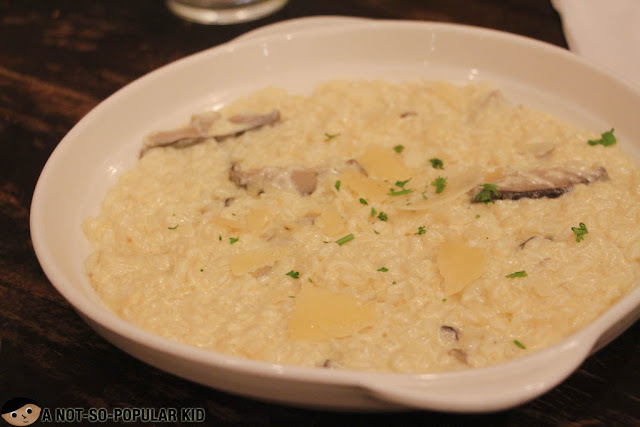 The mac and cheese had the same goodness of the Risotto Tartufo (which you will learn more about later) but much cheesier and tastier! The fun thing about this is that it gets stretchy suggesting that there was indeed a lot of cheese in it. This Risotto Tartufo Funghi featured a balanced yet awesome taste. It also got a great hint of truffle essence without being too harsh on the palate. 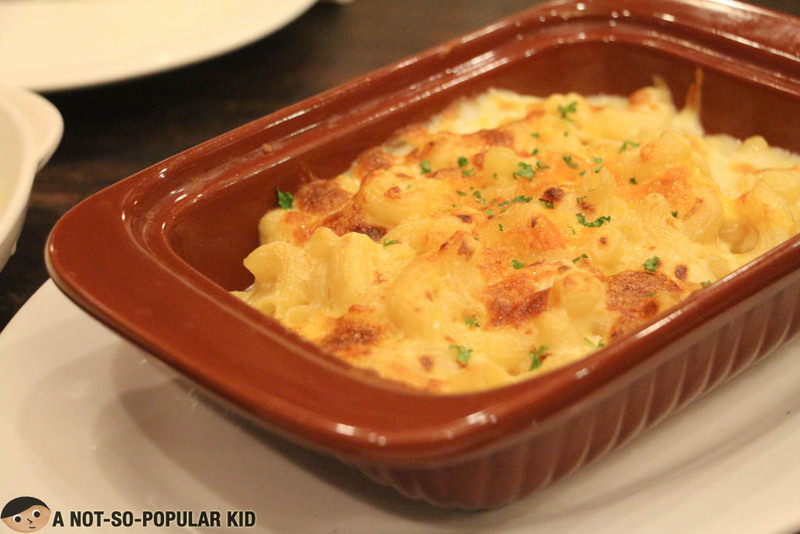 Some may consider this extremely light, but for those who are not that exposed to truffle flavor, they will truly appreciate this dish. 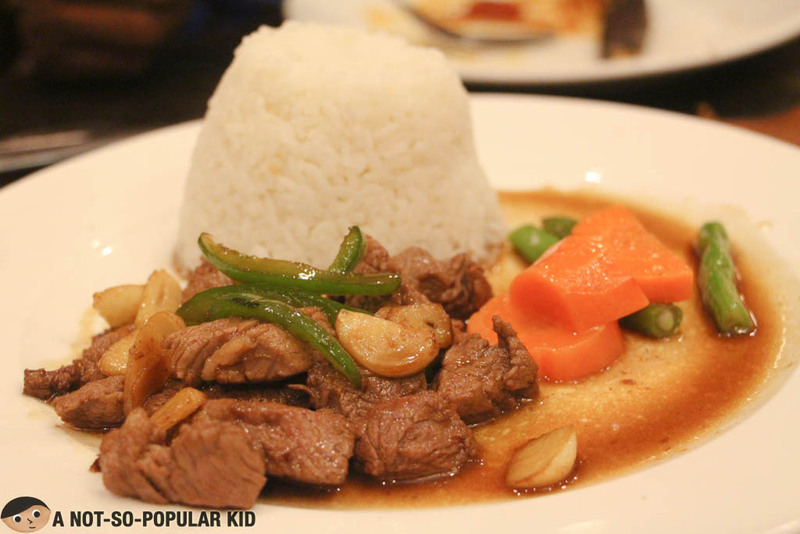 The Beef Salpicao was comfortingly tender that had this minor yet noticeable melt in your mouth sensation. It was rightly salted and spiced making it a great dish! 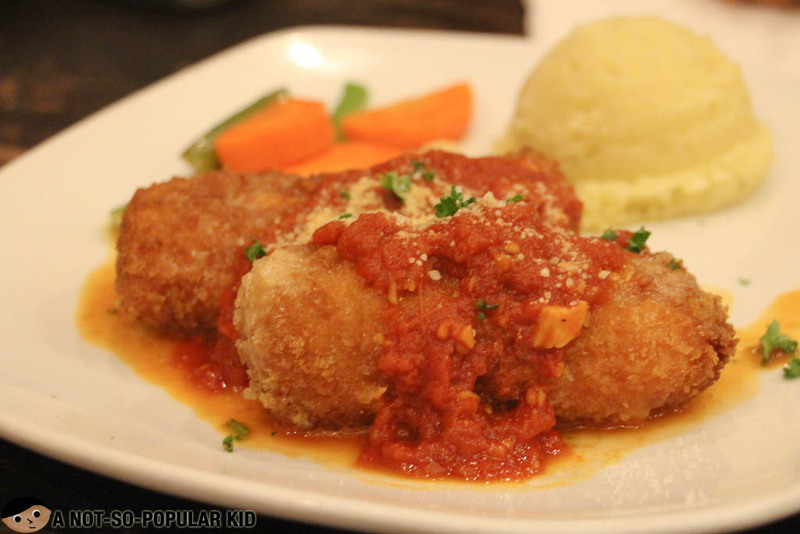 The chicken parmigiana was nicely prepared with a visual creativity; however, it tasted rather regular and, at some point, boring. 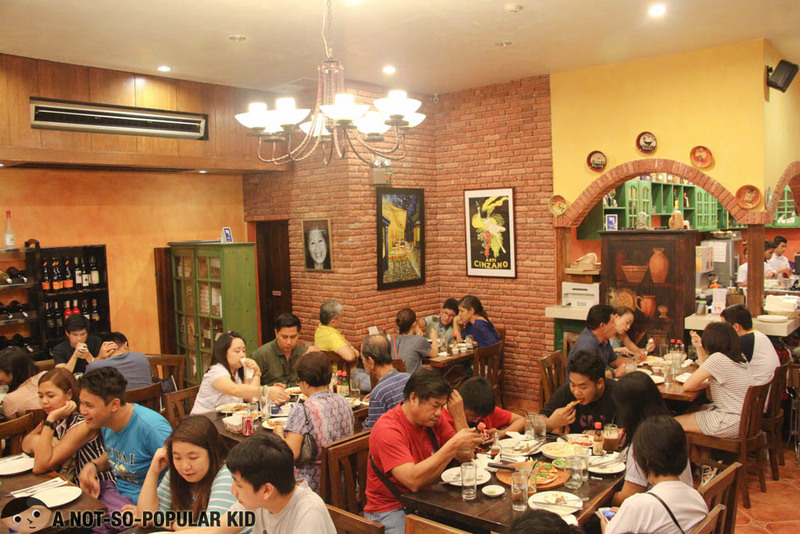 Overall, I was able to find my experience here in Mama Lou just okay. Well, maybe my experience in the BF Homes branch was too superb, and that I had an extremely high expectation for this second visit (but this time in a different branch). Food were okay to great, but not enough to really make our dinner out fantastic. 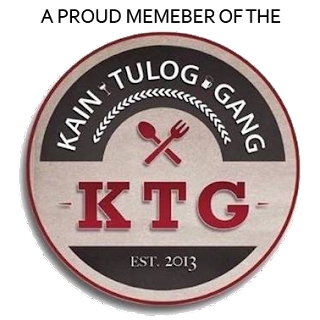 Anyway, I will say that the original branch is still definitely and way better in terms of food quality, taste and even service (though I still liked the service here in this branch).